The cadge is the game or profession of begging. A man who is put out of humour by any joke passed upon him, and cannot conceal his chagrin, is said to carry the keg, or is compared to a walking distiller. As good as caz, is a phrase signifying that any projected fraud or robbery may be easily and certainly accomplished. Any person who is the object of such attempt and is known to be an easy dupe, is declared to be as good as caz, meaning that success is certain. Any thing so marked is said to be chanted. Also a paragraph in the newspaper describing any robbery or other recent event; any lost or stolen property, for the recovery of which, or a thief, etc., for whose apprehension a reward is held out by advertisement, are said to be chanted. To throw off a rum chaunt is to sing a good song. See stow it for more information. Located in Covent Garden, London. To chiv a person is to stab or cut him with a knife. Obliterating the name and number on the movement on a stolen watch.Or the crest, cipher, etc, on articles of plate, and getting others engraved, so as to prevent their being identified, is termed having them bishop'd or christen'd. So there are new chums and old chums, as they happen to have been a short or a long time in confinement. Also of a flat who has been stript of all his money by a coalition of sharps. I think there is so and so to come. To tell any thing of one party to another.They say of a thief who has turned evidence against his accomplices that he is coming all he knows, or that he comes it as strong as a horse. Synonymous with tipping, from which word it takes its rise, there being a place called Tiptree Heath, I believe, in the county of Essex. 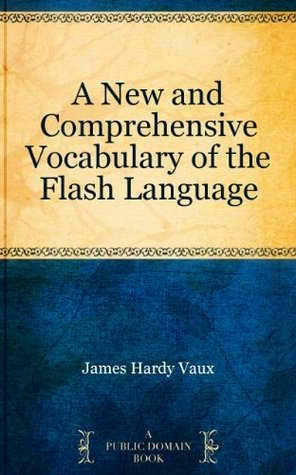 The lovers of flash, by way of variation, adopt this term, for an illustration of which, see bolt‐in‐tun , Alderman Lushington , Mr. Palmer , etc. See nose, and wear it for more. On other occasions, when joined to particular words, as a cross-cove, a flash cove, a leary‐cove, etc, it simply implies a man of these several descriptions. To stand in such a situation as to obscure your pall, who is committing a robbery, from the view of by standers or persons passing, is called covering him. Anybody whose dress or stature renders him particularly eligible for this purpose is said to be a good cover. Used on other occasions in the same manner as cove when applied to a man. Saying anything offensive or unpleasant is called crabbing it or throwing a crab.To crab a person is to use offensive language or behaviour as will highly displease or put him in an ill humour. Sometimes called being in crab-street. The crack is the game of house-breaking, whilst a crack is a breaking any house or building for the purpose of plunder. As in He crack'd some queer whids meaning ‘ He dropt some bad or ugly expressions’. Crack a whid for me meaning ‘ Intercede’ or ‘ Put in a word for me’. Served to prisoners in jails for their daily subsistence. Sometimes applied to shops, as in:A thimble‐crib is a watch‐maker's shop, a stocking‐crib is a hosier's, etc. In opposition to the square. Any article which has been irregularly obtained is said to have been got upon the cross and is emphatically termed a cross article. By crossing your arms in a particular position. Also known as the billiard-slum. Sometimes called going upon the Q or the letter Q.